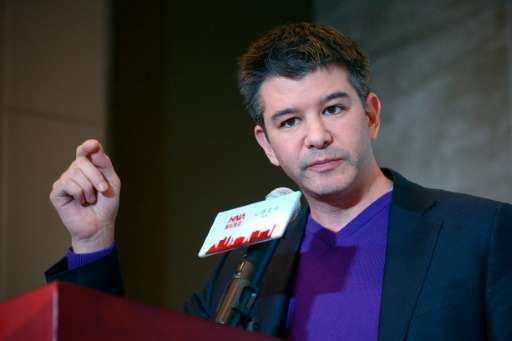 A response Thursday to a lawsuit filed last week by early Uber investor Benchmark Capital said the litigation was part of a "shameful" effort to remove Kalanick from any role at the ridesharing giant. The filing said members of Benchmark earlier this year "handed Kalanick a draft resignation letter, and told him he had hours to sign it, or else Benchmark would start a public campaign against him." Ultimately, he relented, "given his emotional state," according to the filing. Kalanick argued that the lawsuit—which has brought to light strains and infighting at the world's most valuable venture-backed startup—should be dismissed and that the dispute should be settled in arbitration. Kalanick said Benchmark seeks to "silence and sideline" him and effectively ban him from any major decisions at the San Francisco firm. Kalanick—who had been the driving force behind Uber's massive global expansion, but whose brash style had made him a liability—still holds a large voting stake in the company, which is valued at $68 billion.